5 minutes, 4 steps and "Ok Google turn on the lights". 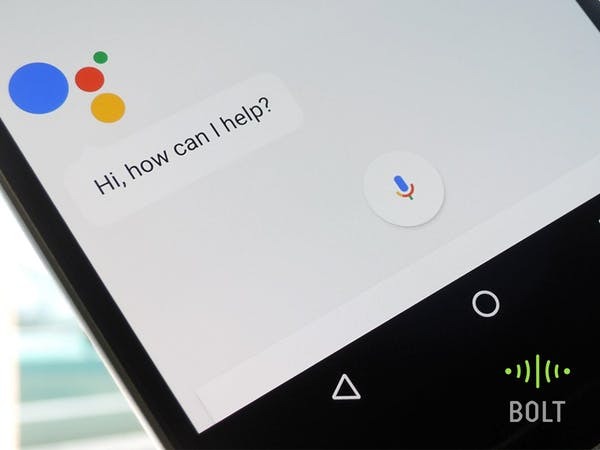 Google Assistant + IFTTT + Bolt IoT Platform to make your own voice-controlled lighting system. By Vinayak Shantaram Joshi and Sourabh Tiwari. If you have any queries, please ask them below. Also, we encourage students to answer the queries of other students as well. 5 minutes, 4 steps and "Ok Google turn on the lights"
After clicking ‘Write Digital Output’,where to write the command? You need to first generate your own digital write command by referring to the command mentioned in step 3 of the project. Please make sure you replace the API_KEY and DEVICE_ID with your own. You can find both these values from the cloud dashboard. Below is the detailed explanation of the command. API_KEY: You can get it from API tab on cloud dashboard. DEVICE_ID: The id of your device. You can get it from cloud dashboard. The above specific command will turn ON the LED connected to PIN 0 of device BOLT13819450. Entering the command on IFTTT. Enter the command you just created in the webhook url of IFTTT applet that you’ll be creating. Refer the project to know how to do it step by step. In this project, if I use a LM35 sensor, how can I make Google Assistant to speak out the current temperature when I trigger it? No, the current project does not have any method by which you can make google speak out the temperature reading.